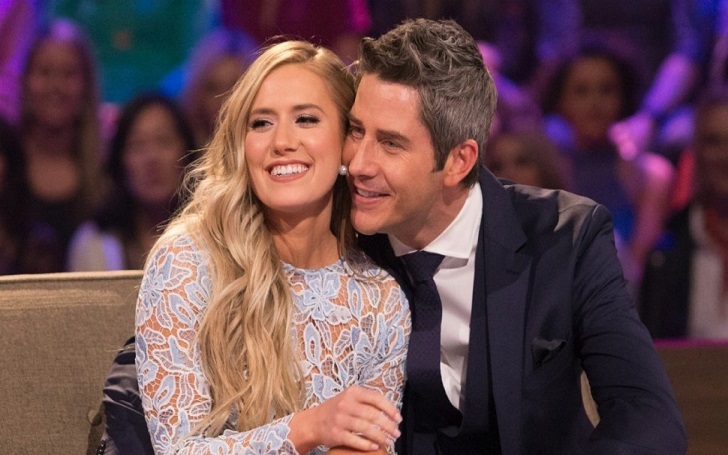 Arie Luyendyk Jr. and Lauren Burnham are revealing their wedding plans; wedding date and location! On Wednesday's live episode of The View, The Bachelor couple is set to get married on January 12. However, you will not be watching the two saying "I do" as they are not going to set cameras at their wedding. Arie said, "It's a private wedding, so not on TV". The big day will take place in Maui at Haiku Mil. Of their wedding venue, the racing driver described, "this beautiful old world field. A lot of vines and greenery." He added, "It's not your typical beach wedding. It's so pretty". They have planned to conduct the intimate wedding ceremony in front of around 100 guests. After a shocking Bachelor finale, the couple got engaged in March. Arie had broken up with his initial choice, Becca Kufrin in The Bachelor finale. January will mark less than a year of the former couple's engagement after just a few months of dating. Becca is currently doing press for her upcoming The Bachelorette season. I think if we were able to get married tomorrow, we would. We're just really happy with each other and we vibe well together. We're best friends, so we're just ready for that next step. She added, "Honestly, I don't think we really had much control over that." Arie then said, "It just happens to be the timing of things." As for the wedding, the couple"are excited to do it privately."